UK based Fractious (Stephen Garrett) has firmly fitted himself into the international techno community over the last few years, providing his own unique blend of groove based techno. 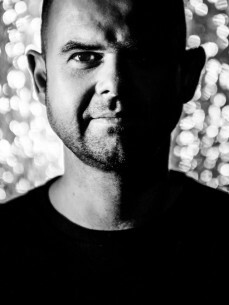 Having caught the attention of Christian Smith, he immediately signed him to his powerhouse label Tronic and a few months after selected for the annual Tronic Allstars VA. Kevin Saunderson followed suit signing Fractious to his KMS Records, Victor Calderone for his Matter label, DJ Boris for his Transmit Recordings and lately Kaiserdisco for their KD RAW label. The success of these signings can be seen by the support from Ramon Tapia, Karotte, Slam, Paco Osuna, Markantonio, Mr. C, Pan-Pot, Just Be, Axel Karakasis, Kaiserdisco, Paco Osuna and Richie Hawtin having played his collaboration with Irregular Synth at the Enter closing party in Space and for a continued 6 months. Next came Stacey Pullen charting a Fractious remix rocketing it into the Beatport Techno Top 100 and more regular plays from Richie Hawtin, from all over the globe, not only of his Fractious productions but also artists signed to his label Dynamo Recordings (co-owned with Ronan Teague - Decoy, Naked Lunch, Binary404). One track as such from Dynamo was used in an Official Minus Tour Video and was the first track in Richie Hawtin's BBC Radio One Essential Mix recorded live from Enter @ Space, Ibiza. Fractious can be regularly found on other well-established labels such as Trapez, Waveform Recordings, Matter, MKT, Funk'n Deep, Loose Records, Gem Records, Pornographic, Night Light to name a few. Fractious is in high demand when it comes to being remixed, with people such as Mr. C, Secret Cinema, ROD, Luigi Madonna, Frankyeffe, Steve Mulder, Richie Santana, Danilo Vigorito, Remy Unger, Petter B, Mars Bill, Matt Minimal, Dani Sbert, The Yellowheads, Alen Milivojevic, M. Fukuda, Peter Bailey, Etai Terazi all jumping at remix requests and always being approached by big labels and podcast sites. Fractious is kept busy in the studio and as a testament to this his gig calendar is rarely empty with bookings around the globe, having just returned from a tour of Norway, Las Vegas and with his new formed close relationship with London based MiSFiT promoters, you can find him playing regularly in London's top underground clubs and releasing on their fresh new record label M!SF!T! !